VPC and VMWare are two great programs that allow me to do a lot. Windows, Linux and in some cases, Mac (although there are still legal issues with that). VPC is great because then you can have your computer loaded up with more than one Operating system and be able to get work done. My question got answered quickly – Even better is that it was a program that worked similar to VPC. VirtualBox OSE is a Virtual PC program that works in the x86 environment. It is a program developed by Sun and can be installed in Windows, Mac and Linux environments. Best part is it’s a breeze to set up and use. 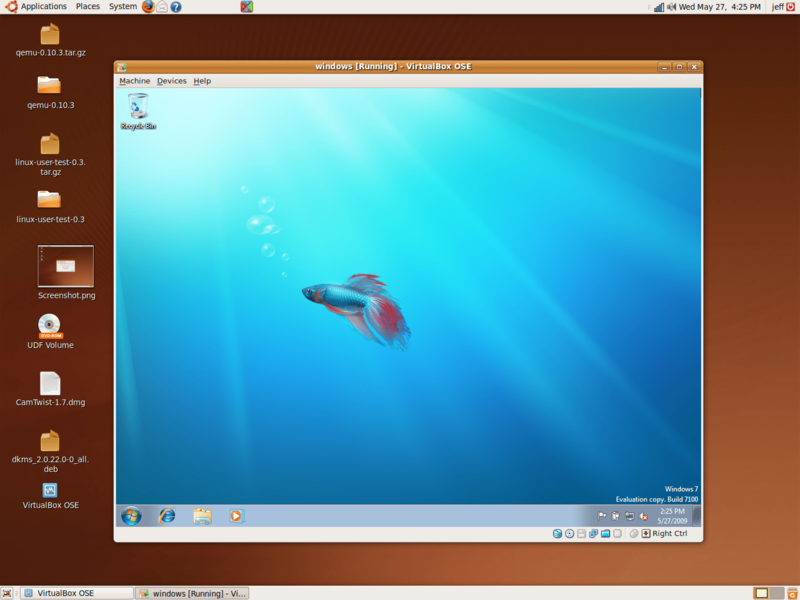 Therefore, I went on with my challenge: install Windows 7 on Ubuntu. The following video shows how I did it, the difficulties (which were none) and the end result.